The Equifax Data Breach: What Does It Mean for You? Check to see if your information was compromised. Always closely monitor your credit card statements. 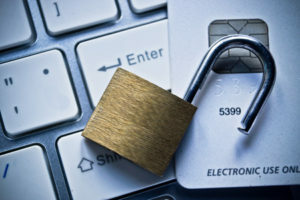 If your information was compromised, call your credit card companies and inquire as to whether they recommend changing account numbers and/or issuing new cards. AnnualCreditReport.com provides one free credit report per year. Keep you from opening a new account, applying for a job, renting an apartment, or buying insurance. However, if you are doing any of these, you will need to lift the freeze temporarily, either for a specific time or a specific party, say, a potential landlord or employer. The cost and lead times to lift a freeze vary, so it is best to check with the credit reporting company in advance. Equifax is currently waiving their credit freeze fee. Each of the three credit reporting agencies – Equifax, Experian, and TransUnion – charge between $5-$10. If you do find yourself affected by this data breach to the point of identity theft or other life-altering implications, you can file for a new Social Security Number. There is nothing pleasant about any of these activities but please take a moment and do your due diligence for your protection. We are also available if you have any questions. Please don’t hesitate to contact us.